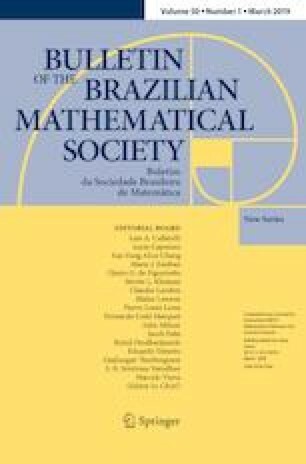 The Bulletin of the Brazilian Mathematical Society (SBM) was launched in 1970, only about 1 year after the Society itself was founded: the creation of the new journal was established in the very first By-Laws of the SBM. In 1988, Jacob Palis took over as the Editor-in-Chief and important changes soon followed: the following year a New Series was initiated, starting from volume 20, and an agreement for worldwide distribution of the Bulletin was signed with Springer Verlag. For three decades, Jacob oversaw the transformation of the Bulletin into a well-established international vehicle for publication of high quality mathematics. As Brazilian mathematics flourished, so did the journal, under his guidance. More recently, in 2016, the agreement with Springer was extended to include the production of the Bulletin, as well as its distribution. At the same time, the management of the journal was made increasingly professional. Jacob Palis has now chosen to step down as the Editor-in-Chief. Fortunately, he will remain in the Editorial Board, and so the Bulletin will continue to benefit from his experience and wisdom. For all of us who will follow him on this task, it is time to congratulate him, and to thank him for everything he has done, and will continue to do, for the Bulletin and for mathematics as a whole.